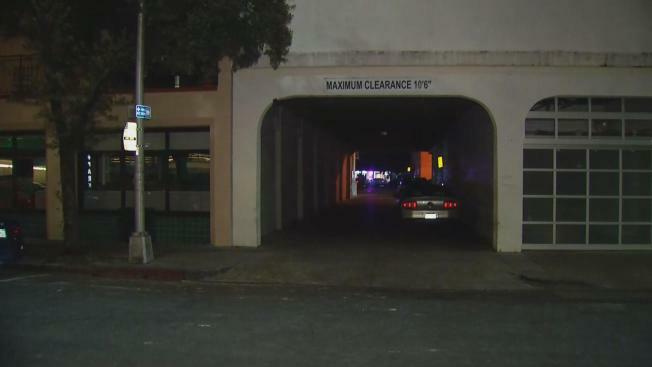 Police are looking for two men who pepper-sprayed a woman and stole jewelry from her in an alley in downtown Palo Alto on Halloween evening. Officers responded shortly after 7 p.m. Monday to a reported armed robbery that had just occurred in the 300 block of Lane 20 East, an alley just north of University Avenue between Florence and Waverley streets, police said. Arriving officers were unable to find any suspects at the scene. The victim was a woman in her 40s walking west on the alley who saw two men heading in her direction, police said. One of the suspects sprayed the woman's face with pepper spray that temporarily blurred her vision. One of the men then snatched the woman's necklace that was hanging from her neck and spiral hoop earrings from her ears, then ran away with the other suspect, police said. Once the woman's vision cleared up, she went to a nearby store and called 911. She complained of pain to her face, eyes and neck area, but wasn't hospitalized, according to police. On Tuesday night, Wendy Kandasamy, of Mountain View, walked right past the alley that became a crime scene one night earlier. What happened there has crossed her mind many times. "I always feel I could be a victim at any time just being a woman," she said. Stephanie Martinez, of Redwood City, said she may have been scared right out of the area. "That makes me almost not want to come out here," she said. Annalise Amos, of Palo Alto, said she has been planning on arming herself with pepper spray and always tries to walk in groups at night. "I always park down random streets right? So it's a little bit frightening," Amos said. "It's very sad that being a female you are more susceptible to people coming after you than if you were a male." The suspects were described as Hispanic men in their early 20s with thin builds standing between 5 feet, 6 inches to 5 feet, 8 inches tall. They wore black pants and black hooded sweatshirts with the hoods pulled over their heads, and one of the suspects wore a black baseball cap, police said. Police said no surveillance video has been located so far. Anyone with information about the robbery is asked to call police dispatch at (650) 329-2413. Those who wish to remain anonymous may send an email to paloalto@tipnow.org or send a text message or voicemail to (650) 383-8984.